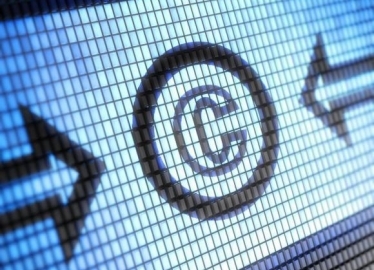 On Thursday, May 16 at 2PM EST, the House Subcommittee on Courts, Intellectual Property and the Internet will kickoff its review of current copyright law at a hearing called “A Case Study for Consensus Building: The Copyright Principles Project.” You can watch it live right here. We expect this hearing to be big-picture in terms of how current US copyright law could be updated to better reflect today’s technology-driven realities. This is in keeping with earlier statements by US Register of Copyrights Maria Pallante, who clearly thinks it’s time to update the Copyright Act. Committee Chairman Bob Goodlatte (R-VA) is taking things further by directing his committee to examine specific aspects of the law in a broad-based review. The title of the hearing references a certain “Copyright Principles Project [PDF]” which we assure you is a real thing. In fact, the witnesses list is comprised of the members of this project, who issued a report a handful of years ago that attempted to achieve consensus on what “good” copyright law would look like. We’ve read the report, and, while it’s not particularly revolutionary, it does reiterate a point we’ve often made about the copyright debates being unhelpfully contentious. We welcome this and other efforts to identify shared values — for example, the basic recognition of creator’s interests as well as an appreciation for the benefits of innovation to free expression and the legitimate marketplace. Witnesses at Thursday’s hearing include Jon Baumgarten, former General Counsel of the U.S. Copyright Office; Laura Gasaway, Professor, University of North Carolina Law School; Daniel Gervais, Director, Vanderbilt Law School Intellectual Property Program; Pam Samuelson, Professor, University of California at Berkeley Law School; and Jule Sigall, Assistant General Counsel for Copyright, Microsoft and former Associate Register for Policy and International Affairs of the U.S. Copyright Office. The panelist’s backgrounds range from music issues (yay) to public interest, technology and international concerns. Their original report looks at incentives to creation, exclusive rights and limitations, terms of copyright, “safe harbors” for online services, comprehensive copyright registries, and the transfer of copyright from author/artist to intermediary (like a label or publisher). It also considers issues related to copyright enforcement and protection in a digital context. Given the wide range of topics, we imagine this hearing could go in a lot of different directions. We’ll be in the room, so keep an eye on our Twitter feed and be sure to c’mon back for more context on what went down.